Friday, 11/29/13 - Instead of physical gifts, my mom decided to gift experiences this year. So she took my sister and I and our kids all out to see Frozen in the theater! Since they pop the theater popcorn with a flavoring oil that contains artificial colors and preservatives, you can't get dye-free popcorn, even if you skip the "butter." 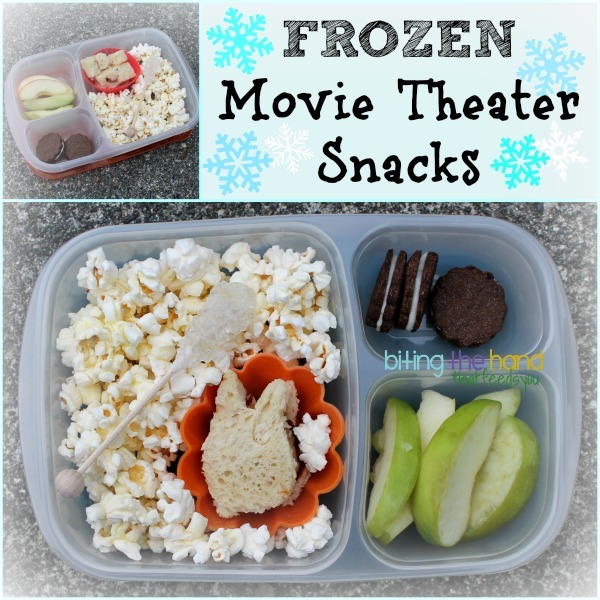 So I packed the girls some "Frozen" EasyLunchboxes! The movie was a big hit! Both girls loved it, and noticed that just like them, the older sister in the movie was blond, and the younger one was a reddish brunette. 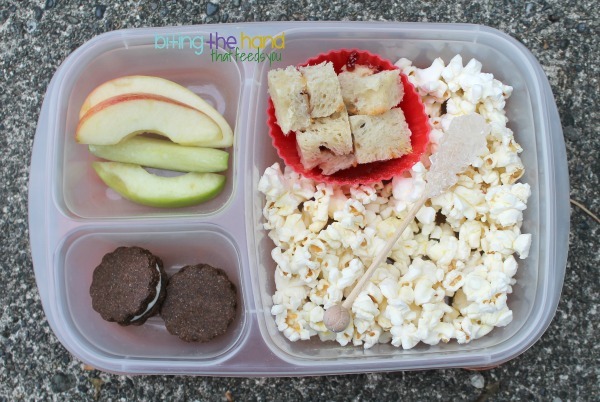 Since we were going to a theater, I made these nut-free with WowButter, just in case. Yes, I know that they sell nut-filled snacks there. But still. Peanut butter is much stickier and more likely to stay on surfaces when shmeared by little hands than a candy-coated peanut dropped on the floor. The sandwich shape doesn't fit the theme I was going for, but Z saw the little Totoro cutter and wanted it over a snowflake cutter. And it's hard, but I remind myself that this is for her, after all. Not me. 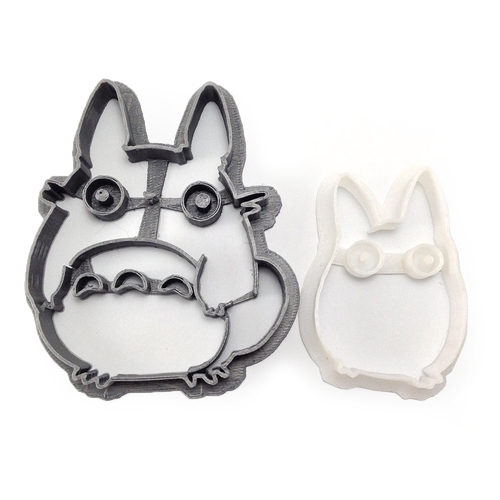 So a Totoro it is! I hadn't even planned on making sandwiches for their snacks until she requested one! I'd been sitting on these dye-free ("plain") rock candy sticks for just such an occasion - a stick full of "frost crystals" for a Frozen movie snack? How perfect is that? I had enough extras I brought some for my niece and nephews too! I took the scraps from Big Sister's sandwich to make little nut-free PBJ sandwich bites for Little Sis too. Both girls got a few of my precious stash of whole-grain gluten-dairy-egg-free "Oreos" from a MOMables recipe I did. Because they prefer them over the store-bought kind. Jerks. 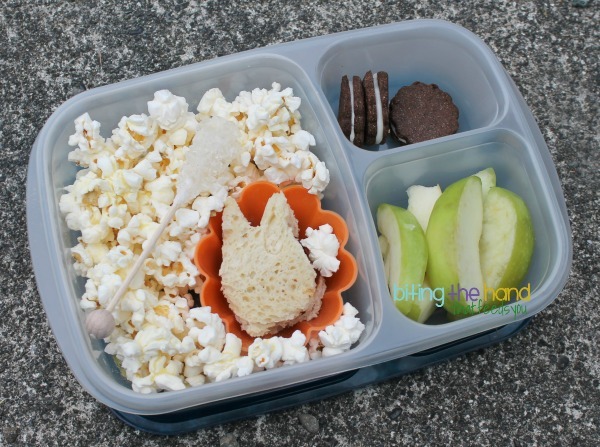 *Please note that I don't pack my own snacks to save money by "thwarting the system." I bring what we need for our dietary restrictions. I still buy their over-priced bottled water, and sometimes Sprite or 7-Up, which, while filled with bad sugars, don't have any fake flavors or dyes.